Posts tagged by "Dietary Guidelines for Americans"
I can always rely on my improviser pal Amanda Pensack when I’m looking to end a healthy eating streak. She’s an accountability partner in crime. I had been successfully substituting kale salad for red meat consistently for almost two days, enough to establish a lasting habit. But we decided it would be better to resolve to revive the Comedy & Cheeseburger blog. I argued that the salad had fewer calories, but she assured me that the burger post would be better for my social footprint. Who am I to argue with 37,000 Instagram followers? Our decision came merely hours before the federales issued the new “Dietary Guidelines for Americans,” loaded with unreasonable mandates such as “kids should no longer smoke cigars at the breakfast table.” Thanks, Obama! These are the same folks who encouraged us to eat butter daily, so maybe a haunted cheeseburger won’t hurt. 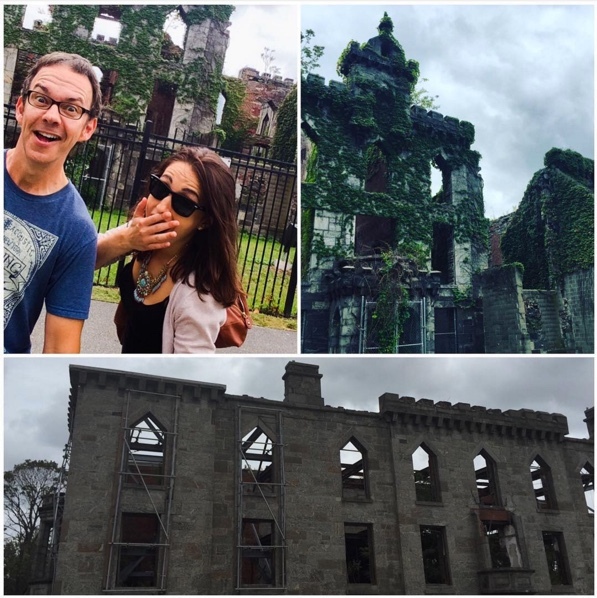 During her last visit we explored the Smallpox Hospital Ruins on Roosevelt Island, NYC’s most haunted landmark, and we committed to continuing the ghost hunters theme in 2016. 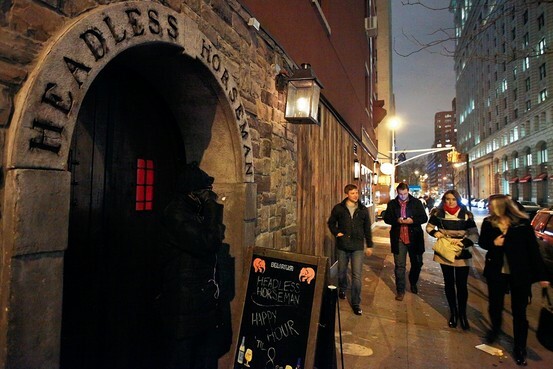 Only two venues met our criteria of offering a horrific dinner experience: The Headless Horseman and the Times Square Applebee’s. The menu offers a kale caesar, but I wasn’t able to retain any other information once the waitress mentioned that the cheeseburger is made with brisket. It was scary delicious. 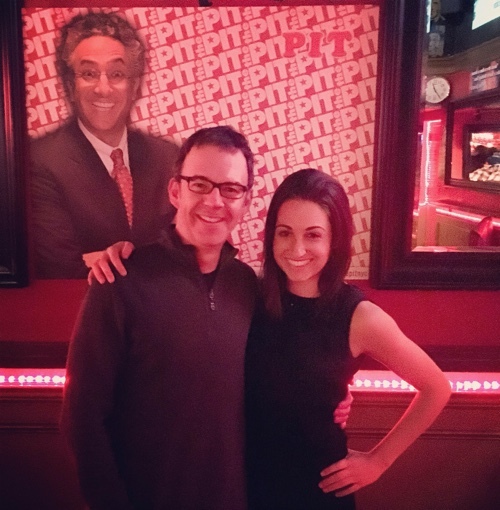 After the burger, we headed to the People’s Improv Theater (PIT) to pose with founder Ali Farahnakian. He can be spotted here frequently, and also on 30 Rock “The Head and the Hair” episode on Netflix. The Headless Horseman. Located one block east of Union Square, 119 E. 15th Street. More on Yelp.